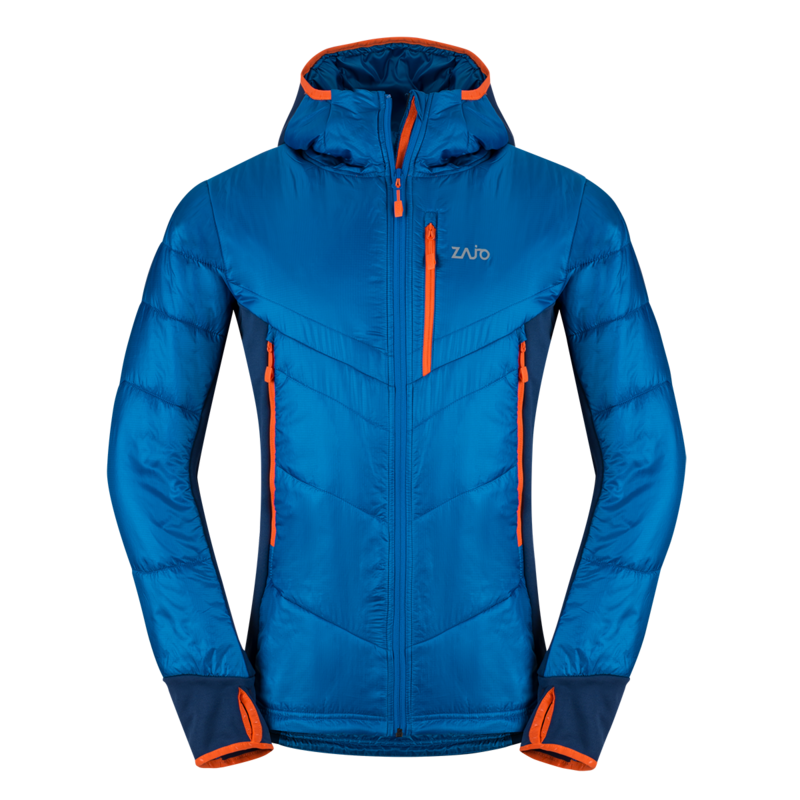 The jacket made for backcountry skiing, running or ice climbing active maniacs. The lightweight breathable polyester fabric with DWR finish is filled with unique breathable PRIMALOFT® SILVER INSULATION ACTIVE for warmth when you are on the move. Back and side panels made of Pontetorto Tecnostretch fabric increases active use breathability and allow uninhibited movement. The jacket is designed to help you move through the mountains fast as you can and provides lightweight warmth that won't interfere when your heart rate is up. The insulated hood has a soft elastic along the outside edge with an adjustment in the back so it will not only stay on in wind, but keep your peripheral vision clear. Two zippered hand pockets and one chest pocket, hold all necessities for all day long. Bottom hem adjustment and sleeve hems with thumb holes keep the elements out. The thumb holes are great for active move and prevent the sleeves from riding up too. One chest pocket with YKK zipper.